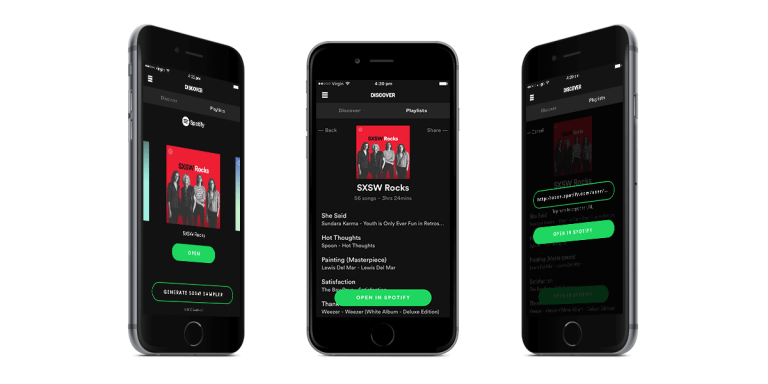 Hydric Media has partnered with Spotify and SXSW to create an experience for music fans within the SXSW Go mobile app. 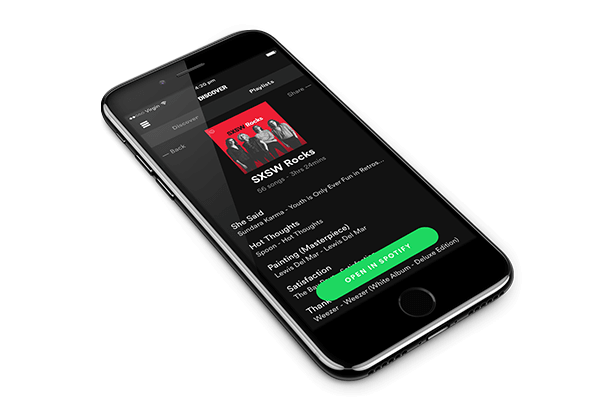 Launched on March 1st, 2017, the integration allows users access to Spotify curated SXSW playlists via the SXSW Go app, as well as creating their own custom Spotify playlist based on the SXSW artist lineup and their listening history on Spotify. Hydric Media worked alongside the teams at Spotify and SXSW to conceive, design and develop the integration within the SXSW Go app. Hydric was able to leverage their in-depth knowledge of the Spotify platform and combine this with in-house Hydric tech to create an experience that is touching music lovers across the globe. The SXSW Music Festival is at the forefront of music discovery where thousands of artists from around the world, from different genres and countries are met by music fans looking to experience and connect with these performers. We hope to expand the magical aspect of discovery that occurs so often at SXSW, connecting artists and fans well beyond the confines of Austin, Texas. This year, Spotify aims to bring you the the best of the SXSW festival, regardless of where you are in the world, helping create a new and innovative experience for everyone, everywhere. Building the next big thing? We’d love to hear from you, shoot us an email to get things rolling.